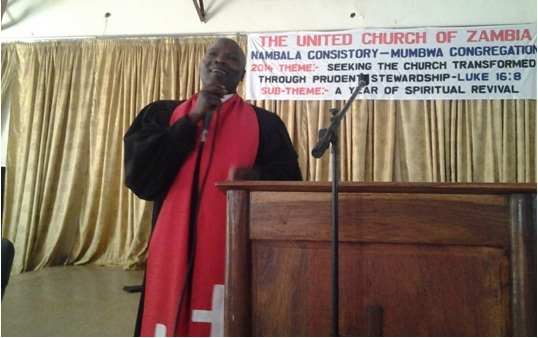 MUMBWA: The United Church of Zambia University College Board Chairperson – the Rev Mutale Mulumbwa who is also the Synod Bishop of the United Church of Zambia on 6th July 2014 chose to celebrate the work of the UCZ University College with Mumbwa Congregation. 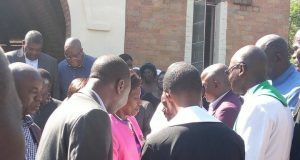 He was accompanied by the Muchinga Presbytery Bishop Rev Frank Bwalya, the Synod Education Secretary Mr Muhali Muhali and the Synod Communication Secretary Rev Dennis Mbita Sikazwe.The Synod Bishop was welcomed by the Minister – In – Charge Rev Robert Gama. In narrating the history of the UCZ University College, Rev Sikazwe said the UCZ University College has been upholding the academic torch which was lite in the medieval times when universities emerged for the first time in churches. The arrival of western missionaries in Zambia (Northern Rhodesia then) marked the birth of conventional education. The London Missionary Society(LMS now CWM), Church of Scotland (C.S), Methodist Missionary Society (MMS) and the Paris Evangelical Missionary Society (PEMS) established schools, hospital, health Centres and Colleges in their areas of operation. Among the colleges that were established were the Chipembi College of Agriculture and the UCZ University College. 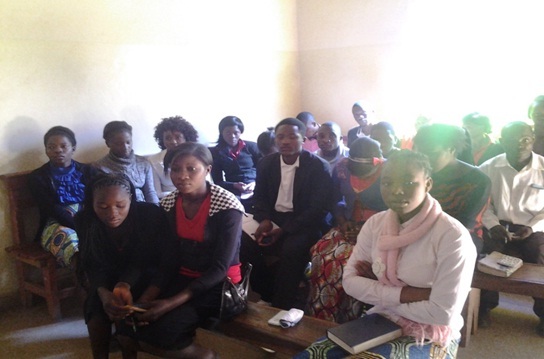 As early as 1949 the LMS offered some grant to the Church of Central Africa in Rhodesia (CCAR) to put up a Bible School at Kashinda, in the Northern part of Zambia (Mporokoso). 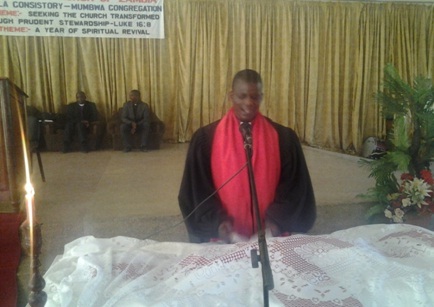 The first Principal was Rev Kenneth David Francis. 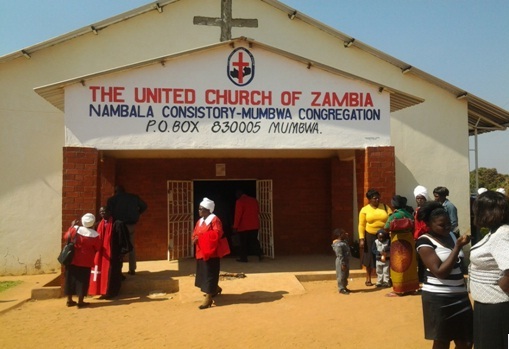 In 1958 the newly born United Church of Central Africa in Rhodesia (UCCAR) made a landmark decision to move the Ministerial institution from Mporokoso to a more central place. Mindolo which was one of the LMS Mission farms was the agreed new home that was going to house the Ministerial College. The decision was effected in 1960 with the new Principal Rev Vernon Stone. In 1972, the College affiliated itself to Makerere University in Kampala, Uganda offering diplomas in theology. This went on up to 1992 when the UCZ Theological College (then) switched from Makerere to St Paul’s Limuru University College (now) in Kenya, still offering diplomas in theology. With increased demand for the institution to offer degree programmes, in 2000 the institution established new working relationships with the University of Western Cape in South Africa offering a Bachelor of theology. Since then, there has been calls for the church to go back to its roots of offering university education. This need gained support from all sectors of the church. The UCZ Theological College was then granted the University College status by the Ministry of Education. In addition to the already existing Faculty of Theology and Religion, the UCZ University College officially opened the Faculty of Education this year( 2014). 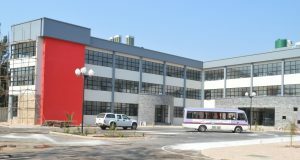 The University College is in the process of opening another Faculty of Agriculture and Veterinary Sciences to be based at Chipembi College of Agriculture. This will be followed by the Faculty of Humanities and Social Sciences. 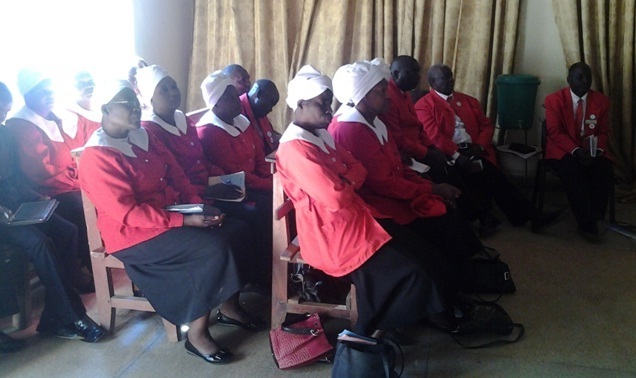 The Synod Bishop in his homily under the theme: “God’s purpose for his children” encouraged all the congregants to own the University College by supporting its operations through prayers, sponsoring certain programmes, sponsoring students as well as ‘being a friend of the University College’. 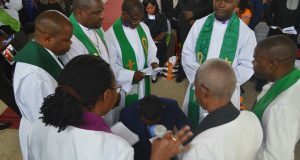 The service came to an end with the celebration of Holy Communion that was administered by Rev Bishop Frank Bwalya.